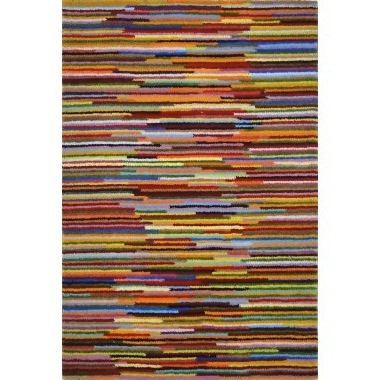 Here again is another rug by ANGELA ADAMs of Portland MAINE . . .. . . The Ocean design mixes textural blends with sculpted, undulating fluid forms in subtle shifts of rich colors. angela adams hand-tufted wool rugs are incredibly unique, textural and timeless. Made with 100% New Zealand wool. Cut and loop pile. I especially like to see her inspiration from Nature-a subject I am also most interested in and often refer to in my classes . 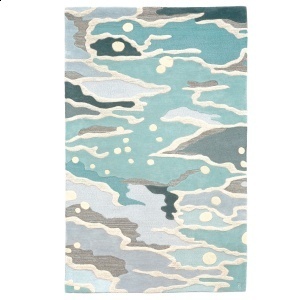 ..
this rug is a good example!Its design is simple and not realistic but you certainly get the feeling of the sea . . .in a modern creative sort of way! 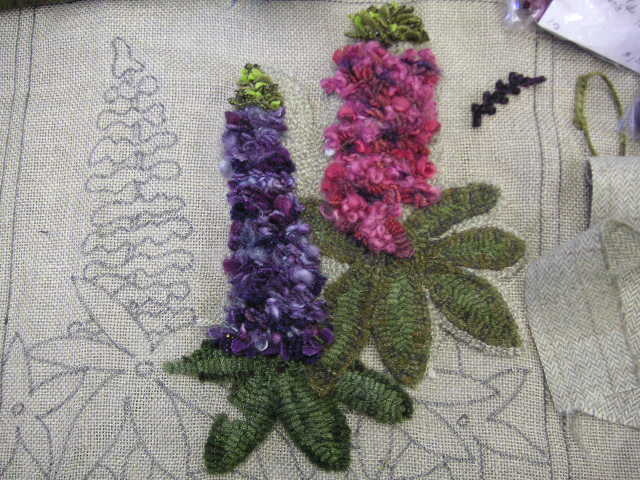 If you live near Portland check out her web site !and go visit her studio!